The picture above is after Chris Coste hit a walk-off single to end a 13 inning marathon between the Phillies and Mets that put the Phillies ahead in the NL East. 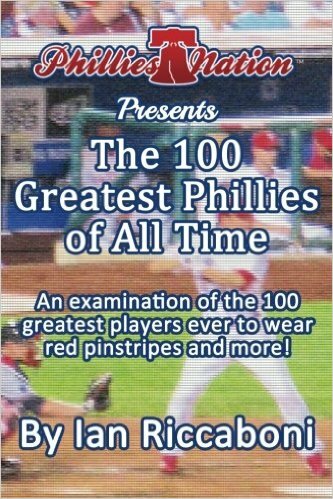 The box score is confusing, improbable, and mind-blowing; how did this group of Phillies end up winning the World Series in 2008? Jamie Moyer started against Pedro Martinez, Clay Condrey hit a double and scored a run, and the Phillies sent offensive juggernauts So Taguchi and Andy Tracy to the plate, and overcame a 7-0 deficit to win. Coste, on the 2008 World Series DVD, says that this was the moment the Phillies knew they could win the World Series. When you can overcome those odds and have Rudy Saenez get the win, I would say your team is destined to win, too.